As awesome as the waterproof Tech Dry glove is for spring snow scrambles, it can get a little chilly to use in the dead of winter. 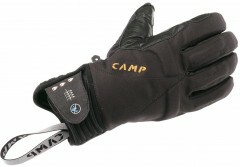 CAMP, never one to shy away from making a well-fitting glove for every occasion, answered those concerns with an insulated version. With the same breathable Hipora® membrane, the G Hot Dry is a great all-around glove for ski mountaineering. The Thermolite® insulation keeps your digits unfrozen and dexterous. The cowhide leather reinforcements durably grip rock and poles. Hipora waterproof/breathable membrane is a great epidermis for ski mountaineers. Grip’R pads on the palm, fingers, and thumb offer good traction when on all fours. Snug neoprene wristband is secured with Velcro and an elastic loop you can cut off. Thermolite insulation is lightweight protection from old man winter. Padded knuckles add warmth and comfort when boxing rocks. Terry wipe on thumb can clear a lens or soak up beads of sweat. I've had these out on a few skis, all of which have been milder spring temps conditions. The gloves have worked well for touring up and skiing down. They seem to have enough loft and fleece material to keep the hands warm when skiing down and they breathe really well when you're working hard. They will likely work well in full winter conditions for the ascending times, I'm not sure how well they'll keep the hands warm skiing down in frigid temps. I generally wear a medium in most gloves and these just work, they're not roomy, it could be difficult to ball the hands up in these gloves. They are very soft and dexterous with some grippy rubbery material painted/glued on the palms. So far I've been happy with the gloves, I'm not sure how durable they'll be but they are warm and comfortable. One downside is that when the fleecey material is loosely stitched into the glove when pulling gloves on and off the liner can get bunched up and out of sorts, especially if your hands are damp or excessively warm or cold and numb. I've had this issue with other gloves with fleecey inner's when they're loosely stitched in. Hi mbillie1, I'd say the CAMPs are a touch warmer than the Skimo gloves, mostly owing to the waterproof membrane which ends up trapping some heat as well. This is especially true if your hands are touching wet snow on the approach. 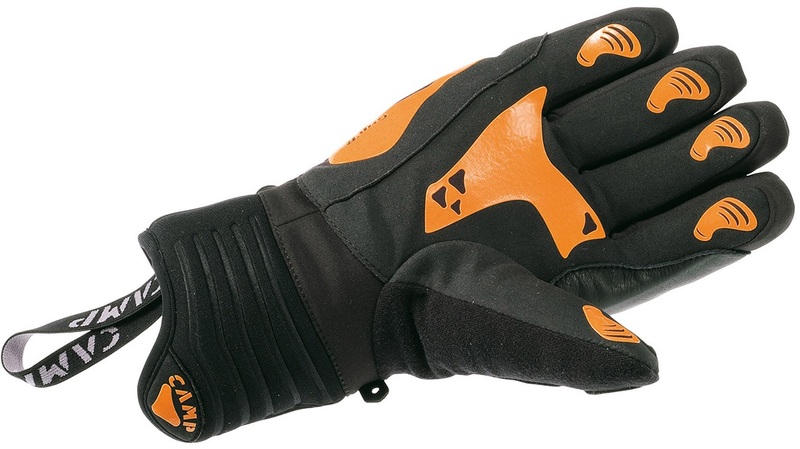 I'm looking at buying the Camp G-Tech Hot gloves, but I need help with the sizing. I have large hands, but I'm not sure whether I would need LG or XLG. Do you have any measurements concerning? Hi Larry, the Size Chart link helps somewhat (it has some measurements), and if in doubt size up with the CAMP gloves.